Everyone who comes to Paris always has a bucket list of things to do once they arrive. 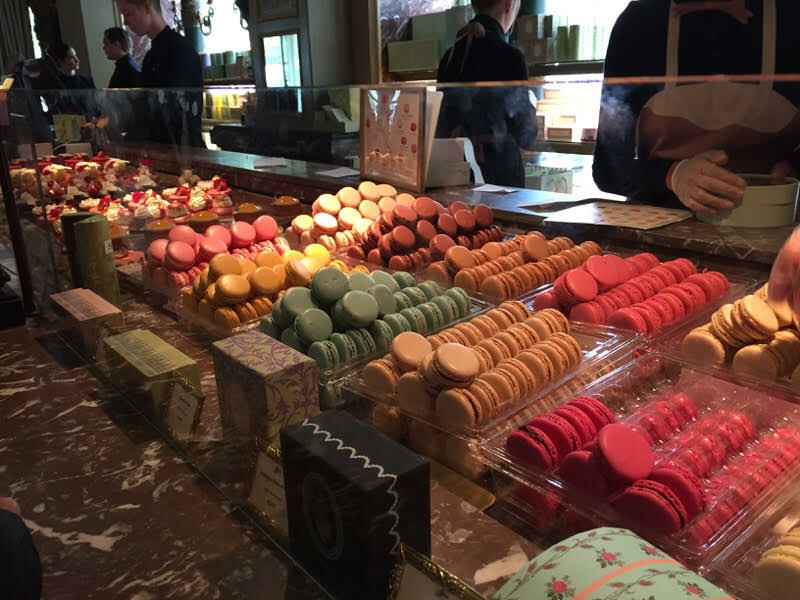 For me, on the top of that list was going to Laduree and trying macarons for the first time. 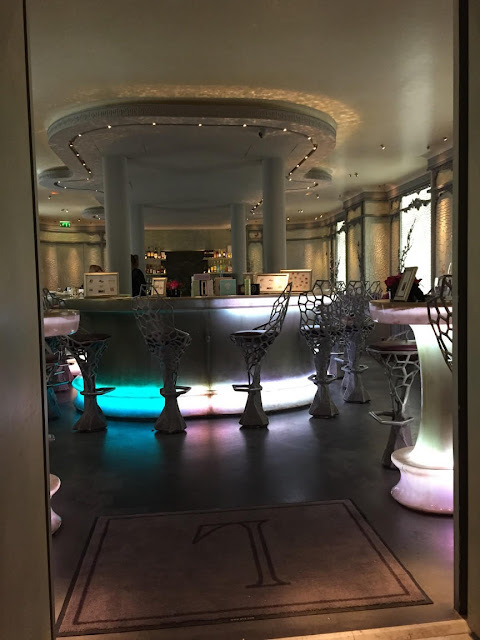 I was excited to learn that my new travel friends were also looking forward to going so we all planned on our free day to visit the Champs Elysees location. Right when we got there, there was a long line that was going out the door but of course it was no surprise since it's Paris haha. Just standing outside made me excited but I would've never guessed how beautiful the inside was! Everything about the inside of Laduree is romantic, vintage, and something that looks like a dream. I swear, I would move in there if I could and just eat macarons for the rest of my life! haha. 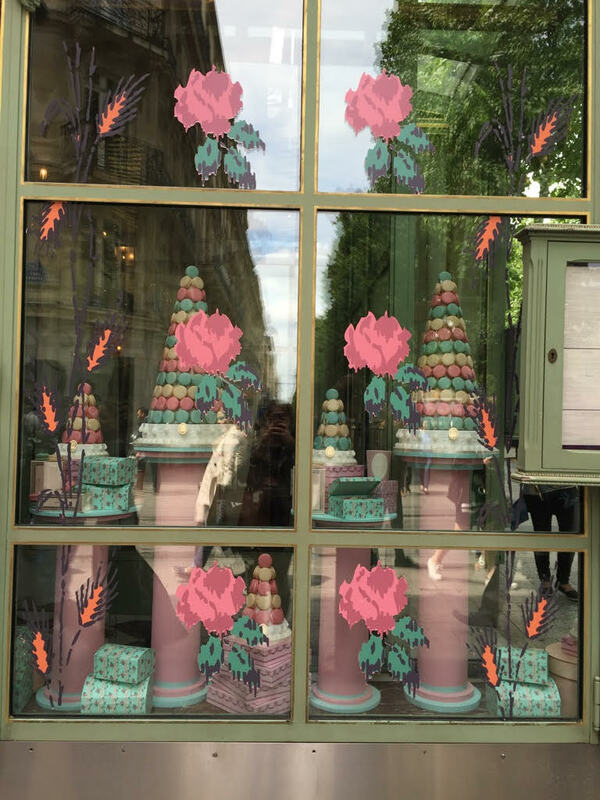 Although the wait was 20 minutes long (just from the outside), at least the window displays were pretty to look at! 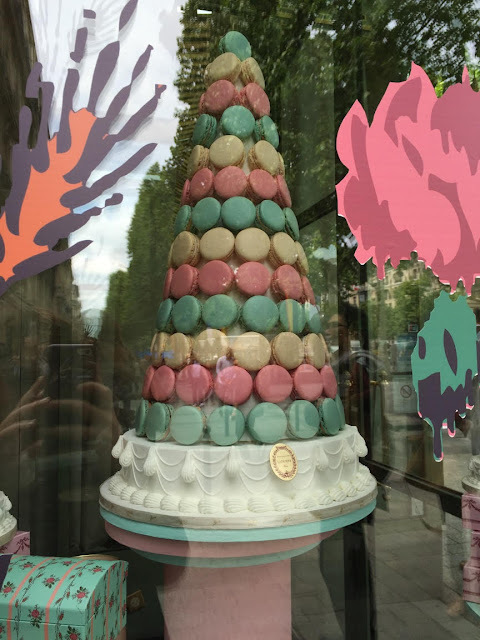 I wish I could buy a macaron tree! 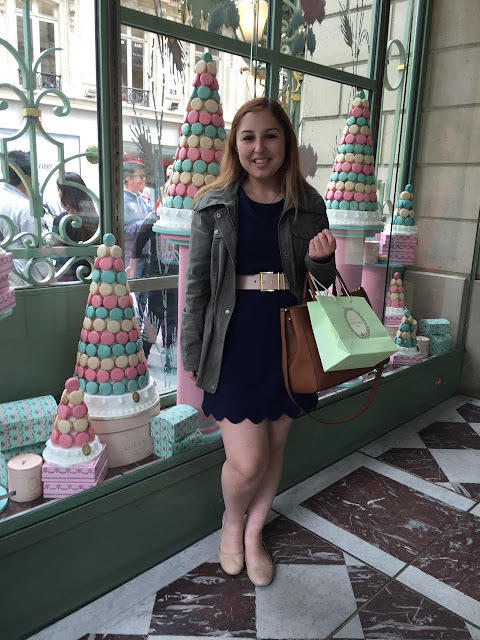 Once we got inside, they gave us a menu filled with macaron flavors to look at while we wait even longer in line. 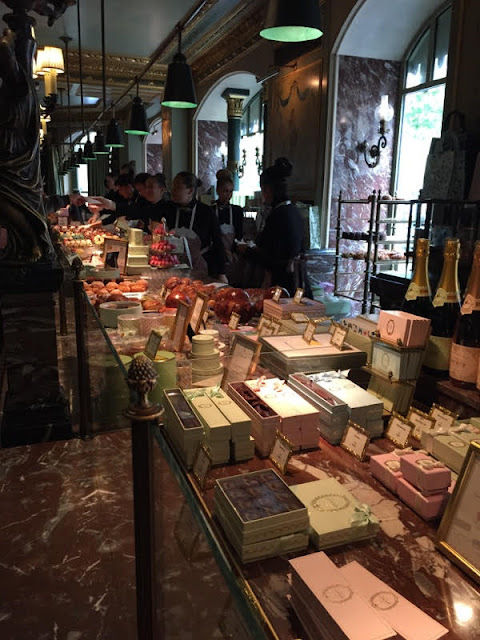 From the line inside I got to take a peek at the stunning bar and the endless amounts of desserts, macarons, and the pretty boxes that you can choose to put them in. Finally it was my turn and it was a relief to see that all the employees there spoke great English. I've noticed in Paris that most people who work in stores speak English so I didn't have that much of a hard time there with the language barrier. I wasn't expecting that! 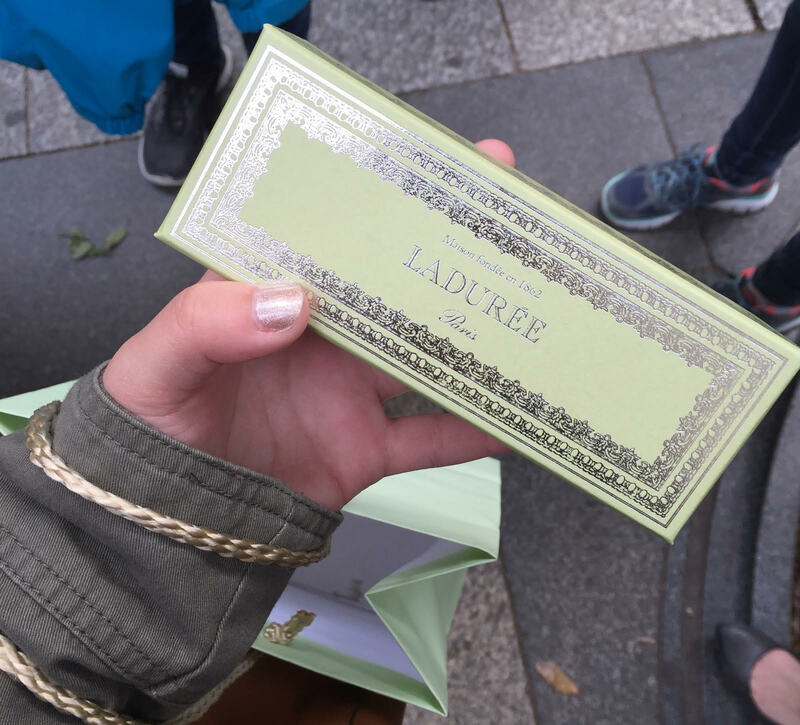 I decided to go with 6 macarons and the classic green box that Laduree is known for. 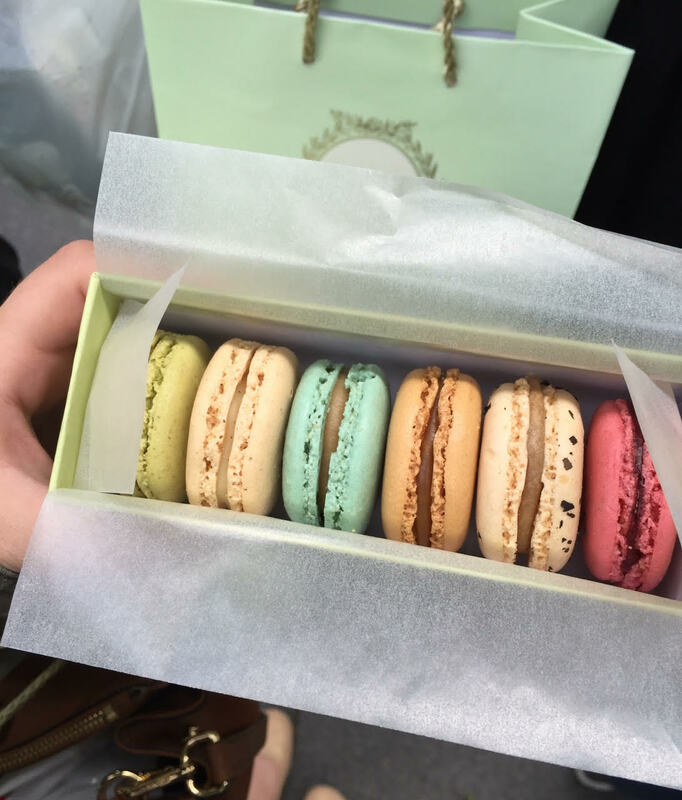 Unfortunately, I don't remember which flavors I got other than the Marie Antoinette (the blue one!) which was my favorite. Of course, I just had to get one more picture at the exit in order to remember this magical day! Ahhh so many goodies - I would love to visit someday too! It's amazing Jackie! You defiantly should! 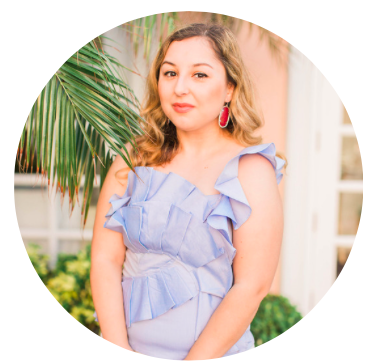 I love Laudree so much & the Champs Elysees location is my favorite! It looks like you had an amazing time & I am super jealous! How fun! We're totally twinning today. 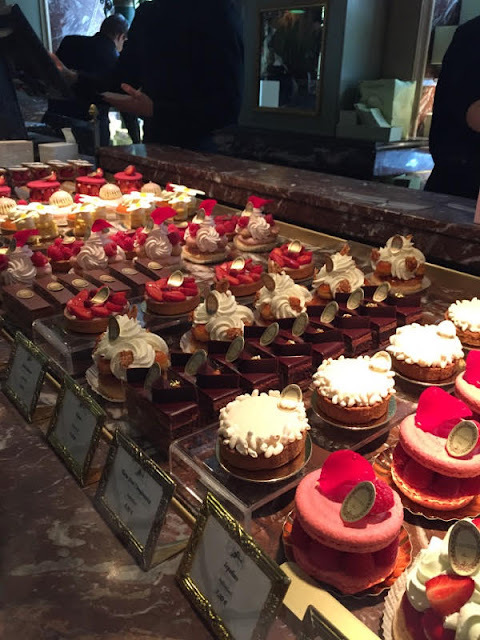 I went to the one in SoHo and wrote about it today! 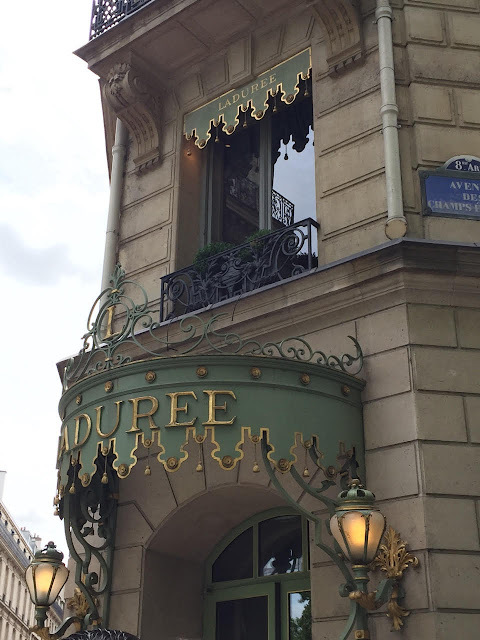 The one in Paris looks ah-mazing!! Gonna check out your post Christie! So cool that we're twinning!